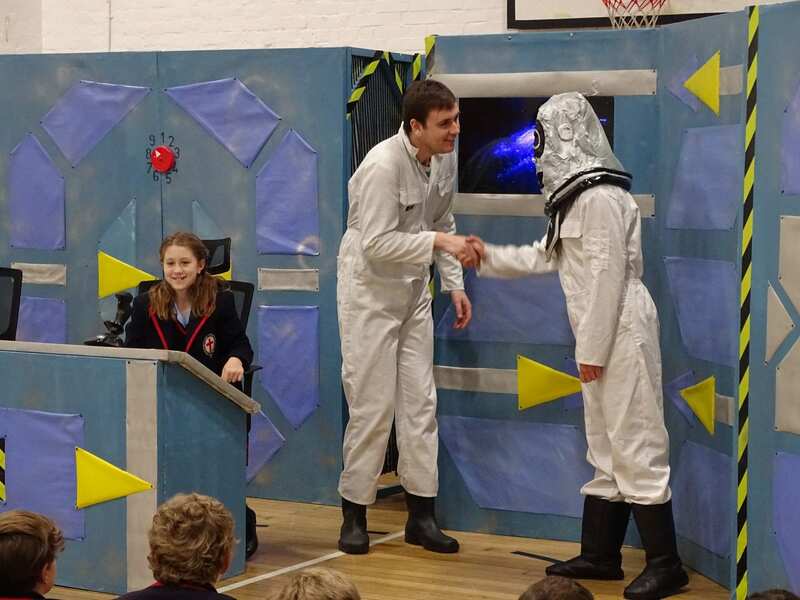 On Monday our Year 5 and Year 6 pupils had the pleasure of seeing the French play “Ticket pour l’espace”” performed by an English actor and a French actress. Jack, an English boy, has won “un ticket dans une compétition” to go into space “l’espace”. He is going to orbit the Earth, “La Terre”. However, when he gets to the space centre, they only speak “Français”! Yana had to come and help Jack to understand what the French computer was telling him! Once in space, they have “un problème”: they land on an unknown “planète”. Fortunately, they have enough fuel to get back to Earth, to everybody’s relief! The play, which was performed in a combination of English and French, was very entertaining. Some of the pupils were even actively involved in the play and really liked taking part on stage. It was thoroughly enjoyed by everybody and a great experience!